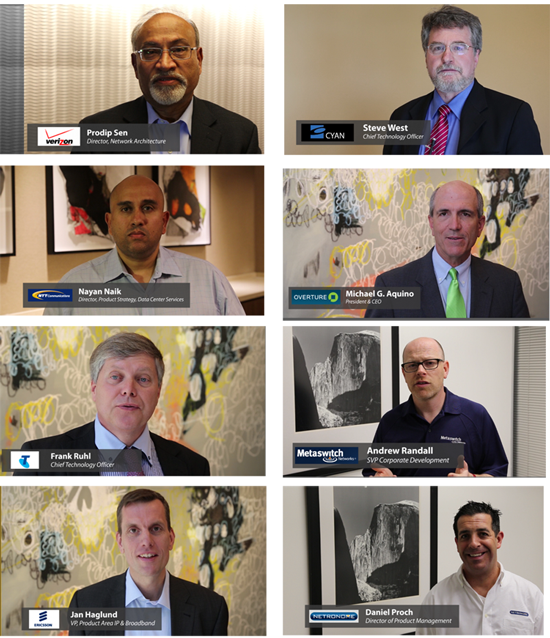 Where does SDN stand today in Service Provider networks? Verizon reported Q1 revenue of $29.4 billion, a 4.2 percent increase compared with first-quarter 2012, and 68 cents in EPS, a 15.3 percent increase compared with first-quarter 2012 earnings of 59 cents per share. Growth was driven by an 8.6 percent year-over-year increase in wireless service revenues, 4.3 percent year-over-year increase in wireline consumer revenues, and a 6.0 percent year-over-year increase in revenues for global enterprise strategic services. Q1 CAPEX was $3.6 billion, flat year over year. 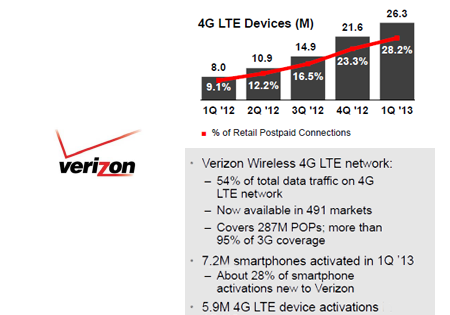 Verizon Wireless added 677,000 retail postpaid net connections, out of a total 720,000 net retail connections, in the first quarter. At the end of Q1, the company had 98.9 million retail connections, a 6.4 percent increase year over year -- including 93.2 million retail postpaid connections. As of April 18, Verizon Wireless 4G LTE service is available to 287 million people in 491 markets across the U.S., covering more than 95 percent of Verizon’s current 3G network footprint. FiOS Video penetration was 34.1 percent, compared with 32.3 percent. 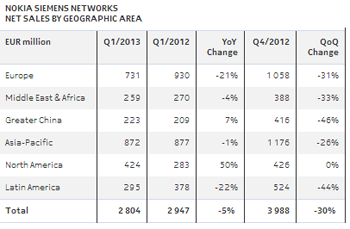 The FiOS network passed 17.8 million premises by the end of first-quarter 2013. Amazon Web Services is currently storing two trillion objects in its S3 cloud storage service, double the number of just one year ago (it took the first six years of the service to reach the first trillion). Peak loads are often reaching 1.1 million requests/second. Netronome raised $19 million in Series E funding for its flow processors designed for cyber-security, software-defined networking and mobile networking applications. Netronome said it will use the funds to expand its software and customer engineering organizations. 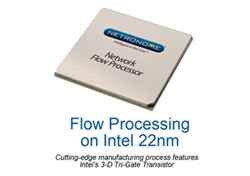 The company cited new wins based on its recently disclosed next-generation flow processor line, the NFP-6xxx, being built using Intel’s state-of-the-art 22nm 3D tri-gate technology. The funding came from Sourcefire, Intel Capital and existing investors DFJ Esprit and the Raptor Group. 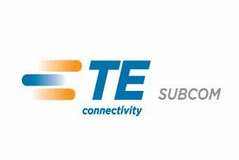 TE SubCom has demonstrated transpacific transmission using both 200 Gbps and 400 Gbps data channels. The test demonstrated a total capacity on a single fiber pair of 21 Tbps transmitted over more than 10,000km at a spectral efficiency of 6b/s/Hz. TE SubCom said its achievement was enabled by careful engineering of the transmitted signals, in order to achieve both long-distance performance and high spectral utilization. Nokia Siemens Networks delivered a strong financially and contributed to an overall improvement in Nokia Group's cash position despite the seasonally weak Q1. Overall net sales for in Q1 2013 came it at EUR 2.804 billion, down 5% YoY and down 30% compared to Q4 2012. In the first quarter 2013, Global Services represented approximately 51% of Nokia Siemens Networks net sales, compared to approximately 52% in the first quarter 2012 and approximately 50% in the fourth quarter 2012. In the first quarter 2013, Mobile Broadband represented approximately 44% of Nokia Siemens Networks net sales, compared to approximately 41% in the first quarter 2012 and approximately 45% in the fourth quarter 2012. Meanwhile, the parent company (Nokia Group) achieved operating profitability for the third consecutive quarter, with a Q1 non-IFRS operating margin of 3.1%. Commenting on the results, Stephen Elop, Nokia CEO, said "At the highest level, we are pleased that Nokia Group achieved underlying operating profitability for the third quarter in a row....Nokia Siemens Networks delivered another strong quarter and contributed to an overall improvement in Nokia Group's cash position. On the other hand, our Mobile Phones business faces a difficult competitive environment, and we are taking tactical actions and bringing new innovation to market to address our challenges." Alcatel-Lucent announced a company milestone: the shipment of its one millionth VDSL2 vectoring line. Alcatel-Lucent launched its VDSL2 vectoring technology in late 2011. The solution achieves downlink rates of up to 100 Mbps over existing copper connections at up to 400m. Alcatel-Lucent’s one million VDSL2 vectoring lines have been delivered to 11 different service providers, including Belgacom and Telekom Austria. In addition, Alcatel-Lucent has been involved in more than 40 trials, including TDC Denmark, China Telecom, and, with P&T Luxembourg, the world’s first trial combining VDSL2 vectoring with bonding, a technique that doubles the distance over which 100 Mbps can be provided.